Chicago City Limits – With over 37 years of continuous shows in New York (since June 1st, 1980) it is currently the longest running Off-Broadway show with almost 10,000 performances to date. Since 1981 their national touring company has played over 2500 shows including Lincoln Center, the Smithsonian Institute and Super Bowl XXIII. 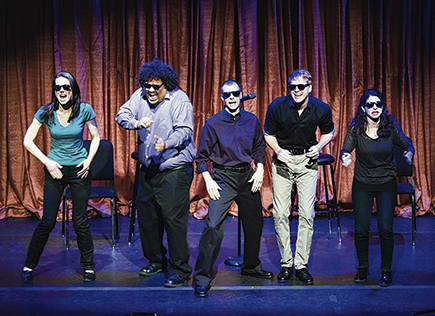 One of the finest improvisational comedy revues in the country, these brilliant, irreverent satirists leave your audience screaming for more.